Marketing automation has never been more critical to success. On average, marketing automation drives a 14.5% increase in sales productivity and a 12.2% reduction in marketing overhead. And that’s just the start. Marketing automation can reduce staffing needs, improve accountability, increase effectiveness, enhance creativity, refine your marketing processes, and more. Contact KeyScouts today for a free HubSpot consultation with one of our marketing experts! The marketing automation industry is worth $3.3 billion and growing 30% annually. With marketing automation, it’s easier than ever to create consistent customer experiences across channels. This means you can deliver the right content, at the right time, to the right customer. It is all about helping you become more efficient—getting more done in less time. Read Stop Stressing and Start Embracing Marketing Automation Benefits for more insight. 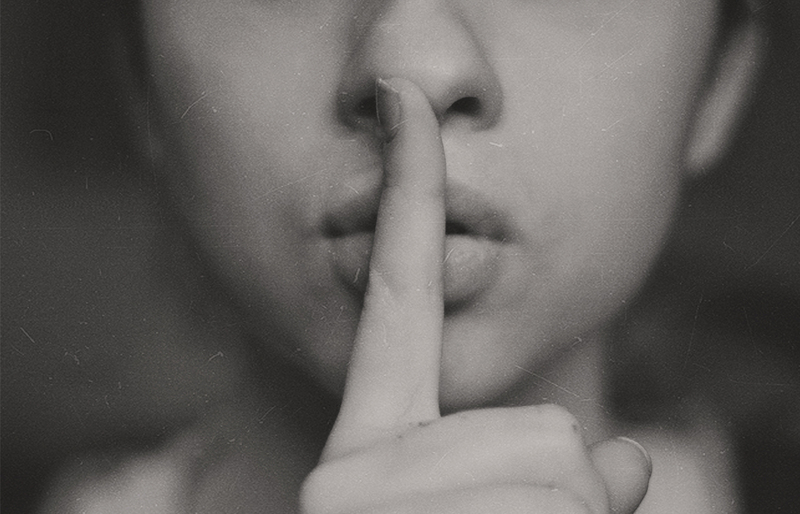 For those companies that haven’t implemented marketing automation yet, in the majority of cases, it’s because they feel overwhelmed with the idea or they fear they don’t have the budget for it. Other companies have become so accustomed to working as they always have, that they’re not willing to risk such a drastic change. But resistance to change will not move you forward. 91% of users agree that marketing automation is “very important” to the overall success of their marketing. The key is choosing the right automation platform out of the many options available. HubSpot is one of the most popular and well-known marketing automation platforms for good reason. 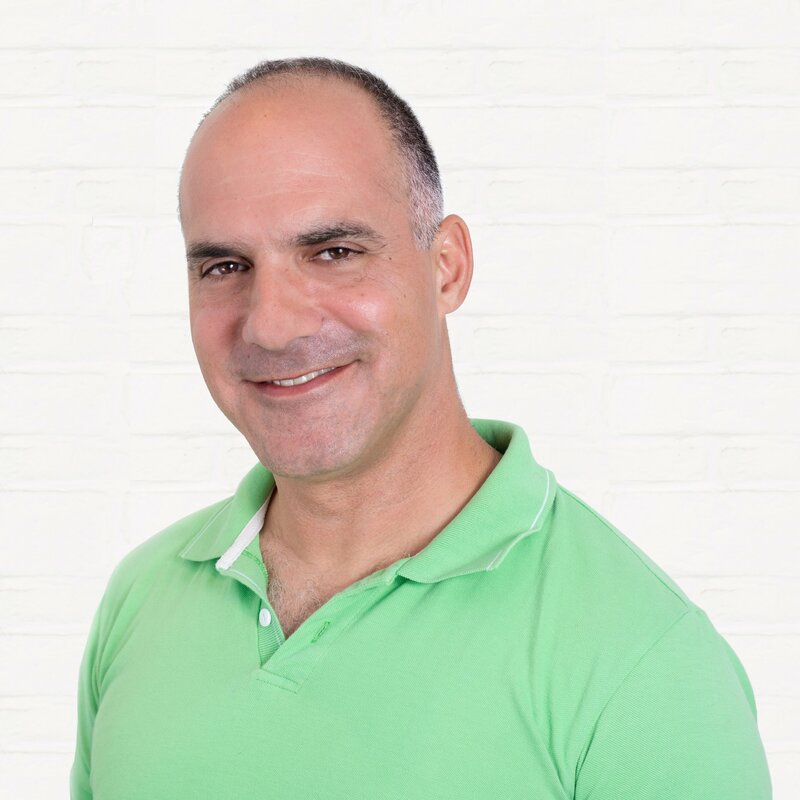 It’s been around for years and is widely acclaimed for offering the complete package when it comes to marketing, sales, CRM, and customer service. HubSpot is a tool that little can be said against. There’s a reason it has 41.6% of the business automation software market, according to Marketing Automation Insider. It’s a well-designed product that’s a market leader, proving its value to over 30,000 businesses. So, what exactly does HubSpot do so well? 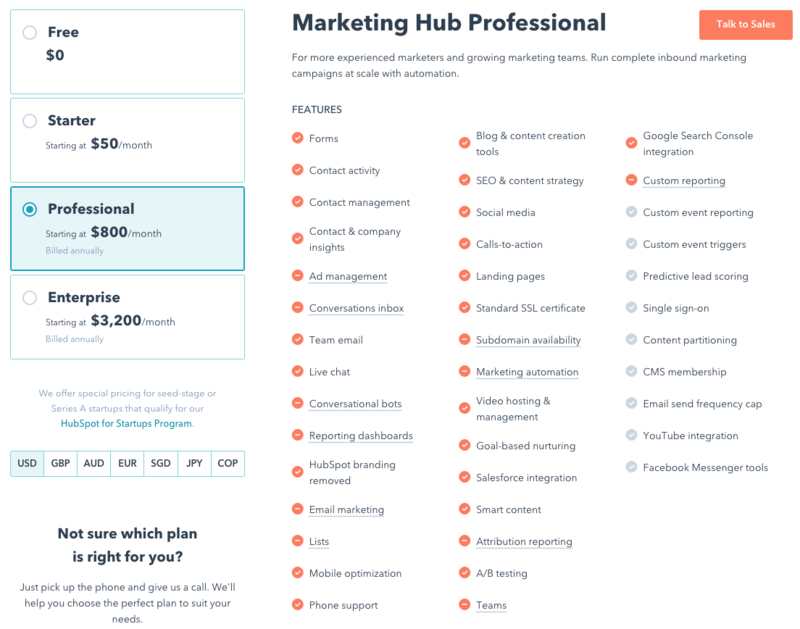 HubSpot is a beautifully designed product with an easy-to-use interface. In spite of how complex marketing automation software can be, HubSpot has done a great job of making sure that using it is intuitive. Each and every technical term is defined. And you can learn how to use it better in the HubSpot Academy. 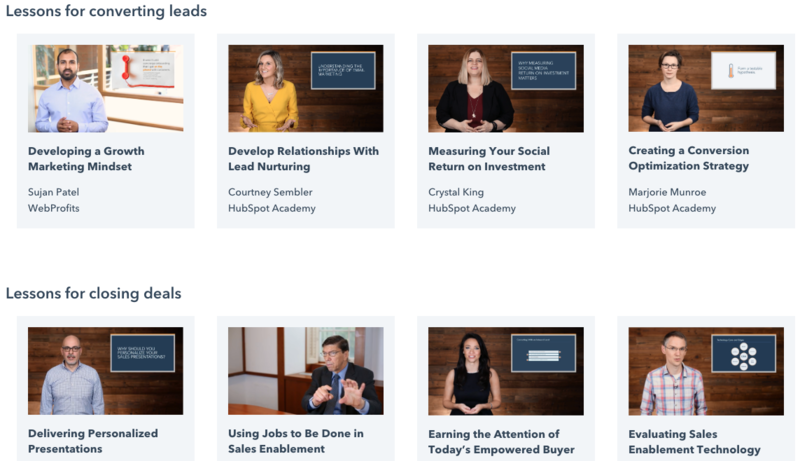 Speaking of the HubSpot Academy, the platform comes with an incredible knowledge and resource library with courses, certifications, live training, quick answers, and video lessons on everything under the sun. And best yet, new resources are added on a regular basis so you can continue learning long after you first sign up. HubSpot does not leave you to master their product on your own. Instead, when you use HubSpot, you gain access to award-winning support and a thriving community of marketing and sales professionals who can help you out. There are many ways to contact HubSpot’s customer service team. You can start a live chat on the website, send a tweet, or pick up the phone. Unlike other automation tools that only offer software for one segment at a time, HubSpot is an all-in-one system for CRM, marketing, and sales, which makes it exceptional when it comes to collaboration. This means that you can more easily align your sales and marketing teams when it comes to reporting, workflows, and more. Moreover, you don’t have to use various tools for different activities. 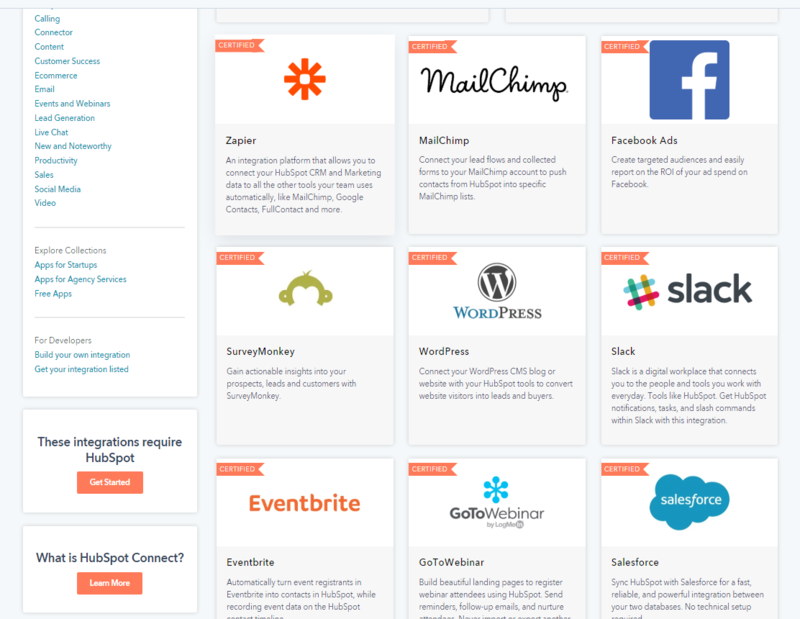 HubSpot allows you to work on your social media, emails, landing pages, analytics, and more, all in one place. There are also many integration options if you are using other tools such as MailChimp, Zapier, Jira Cloud, WordPress, Slack, Salesforce, and others. HubSpot comes with many free templates to help you throughout your marketing strategy journey. There are templates for social media calendars, blog posts, infographics, eBooks, emails, sales training, and more. 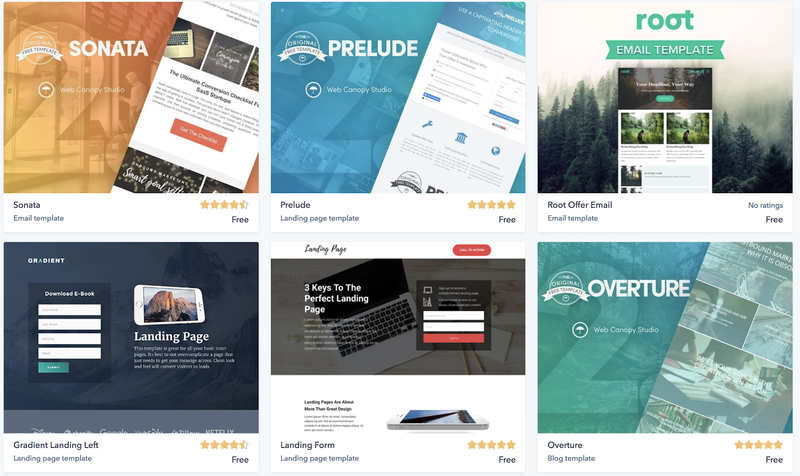 There’s also a template marketplace with free and paid templates for emails, landing pages, blogs, and more. Each of these templates helps to simplify your content marketing and sales needs for more efficient and effective work. HubSpot also comes with a reports tool and add-on, which allows you to create standard and custom reports on a single set of data or across data sets. Professional accounts come with up to 20 custom reports, Enterprise accounts have up to 500, and Reporting add-on accounts come with 2,000 custom options. Flexible pricing structures are key to HubSpot’s success. Based on your company’s size and specific needs, you can either use HubSpot’s free tools or upgrade to use more features at incremental price increases. There are few downsides to using HubSpot, many of which are related to user error. Marketing automation software, no matter how powerful, cannot be used to replace your B2B marketing strategy. Other marketing automation mistakes include making it robotic, not integrating with other departments, and using only limited features. 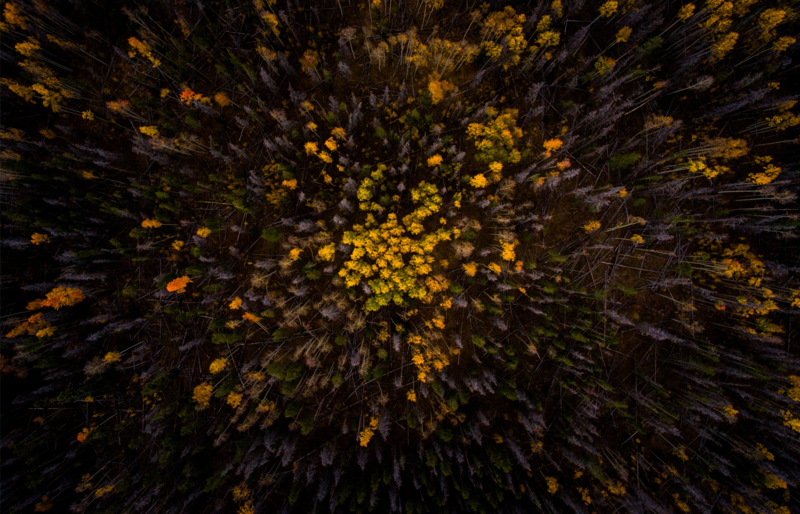 When it comes to HubSpot, here are a few more things to look out for. In addition to the regular monthly fee, HubSpot's onboarding fee is one factor to be considered when weighing the platform's pros and cons. The fee varies depending on the package--with the "basic" onboarding fee costing $600, the "pro" $3,000, and Hubspot's "enterprise" onboarding fee the most expensive at $5,000. However, you can save the cost of the onboarding fee by choosing to work with a certified Hubspot agency partner. Every marketing automation tool takes a great deal of manual work to get automated—not just HubSpot. The reality is that the system requires you to configure it to your needs and business to get it working properly. For example, you'll need to set up the appropriate workflows to automate your marketing to be the most effective possible. If you don’t take the time to get it set up to work for you, you’ll just be wasting your money. As noted, the HubSpot platform must be used correctly in order for it to be worthwhile. But this can be tricky for some marketing teams. For example, you need to set the email send frequency to make sure your emails don’t go out too often, bombarding your contacts. You also need to make sure that you only send emails to engaged contacts or to a relevant list of contacts. This requires you to segment your lists according to buyer personas for lead nurturing. It is also advisable to clean the HubSpot database every now and then to make sure you get rid of the junk leads (e.g. competitors, job hunters, etc.). Unfortunately, this is not something that happens automatically, but that doesn’t mean it’s not important. The upside is that these cons are easily overcome by working with a certified HubSpot Partner agency like KeyScouts. We will do everything for you so that you can set it, forget it, and reap the benefits. A certified HubSpot Partner agency can help guide you and ensure you're getting the most out of the platform so you can get the best return on your investment.